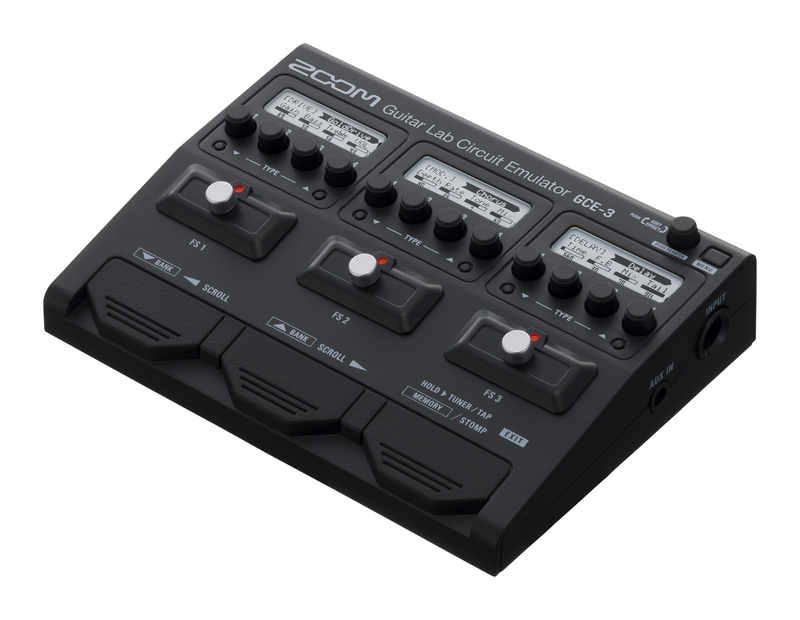 The ZOOM GCE-3 is a compact USB audio interface that puts ZOOM Guitar Lab’s endless collection of guitar effects, amps and cabinets at your fingertips whenever and wherever inspiration strikes. *Guitar picks are for size comparison only. They're not included! Small enough to fit in the pocket of your gig bag or backpack, this compact bus-powered USB interface is perfect for capturing your ideas in the studio or on the go. *All GCE-3 panel controls are for aesthetic design only. The GCE-3 is controlled via PC connection. *All GCE-3 panel controls are for aesthetic design only. The GCE-3 is controlled via PC connection. 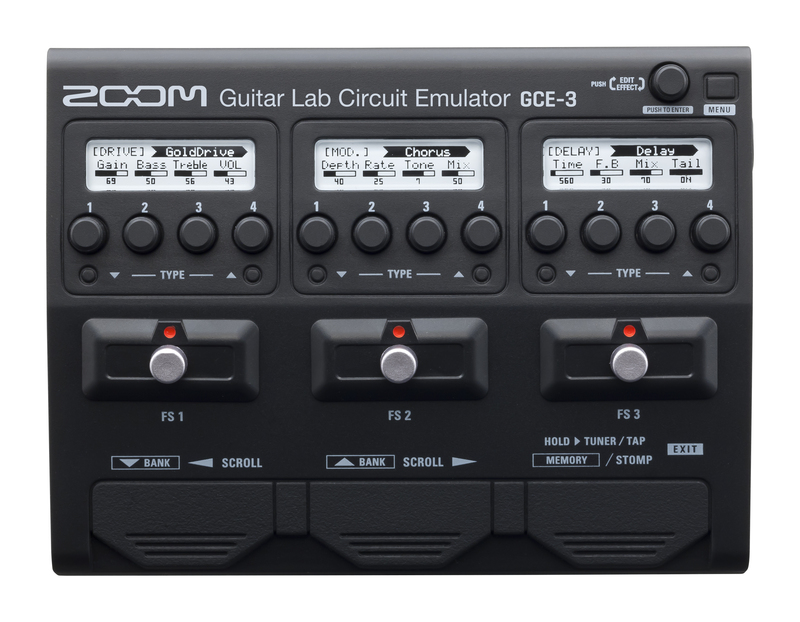 The GCE-3’s built-in DSP processor takes the processing load off your computer, letting you dial in and record professional-sounding guitar tones with near zero latency. The GCE-3 records to your computer via USB-C. Perfect for practicing, the AUX input lets you play external backing tracks directly to your headphones while only recording your guitar to the computer. And for monitoring, the GCE-3 offers dedicated headphone volume control. With the ZOOM Guitar Lab app for Mac/Windows, you have access to the same library of amp models, artist effects and patches available for all of ZOOM’s G-series pedals. Emulate the G5n, G3Xn and even the B3n bass pedal, right on your computer. It’s a one-stop shop for effects collection and management! For convenience, the Clipboard function memorizes up to four effects with custom parameters, so you can copy and paste them onto other patches. downloadable patches, and the EFFECTS tab houses an ever-growing list of classic and boutique effects. The NEWS section keeps your sound fresh with a steady stream of new downloadable patches, and the EFFECTS tab houses an ever-growing list of classic and boutique effects. The GCE-3 comes with a free license for Steinberg’s Cubase LE music production software, so you can record, mix and master your tracks. Endless Effects in Your Pocket.